You may want to read the previous three posts if this is your first trip back to the blog in some time! Sunday and Monday were such a blessing to me as we did the full-scale launch of Youthmark Mission Ventures. Sunday to Monday the Lead Retreat was a real “iron-sharpens-iron” time. Monday night gave me goose-bumps as I saw our team expand (about 18 teams represented by the 14 Youth Pastors and additional leaders). Well, Tuesday became the exclamation point! One thing I really wanted to accomplish at this retreat was to have the participants feel like it was truly a “retreat.” Therefore, we didn’t have any formal event until 9:30 AM on Tuesday (giving many the opportunity to sleep in!). With that being said, I did offer an extra session for those desiring to go a little more in-depth with a specific topic. We met at Starbucks for a 7:30 AM “The Art of Family Time” discussion/training. I was quite surprised to see about 10 of us greet our Veterans Day together. We examined the “Student Ministry” Psalm (Ps. 78) and then I shared for about 15 minutes before we opened it up for discussion. I was blessed to have two of my Lead team members there helping guide the discussion and ask great questions. I had our last Lead Team prayer meeting at 9:00 AM in my room before our brunch and session, entitled, “The Training.” We were very blessed to have Tom Horton as a guest at our brunch. I had asked Tom to come and share about “The Culture of the Rural.” Tom and I have partnered for over 10 years in doing this style of mission trips. There is a misperception among some that Tom and I are competing in what we are doing. The reality, Tom and I are partnering in what we are doing. Tom often puts me in contact with the rural communities that need trained students to come in and serve. In many ways Tom concentrates more on the “where” and I facilitate the “how.” Tom and I consider it a privilege to be in ministry together and I can’t wait to see how Tom continues to expand Tom’s sphere of influence! 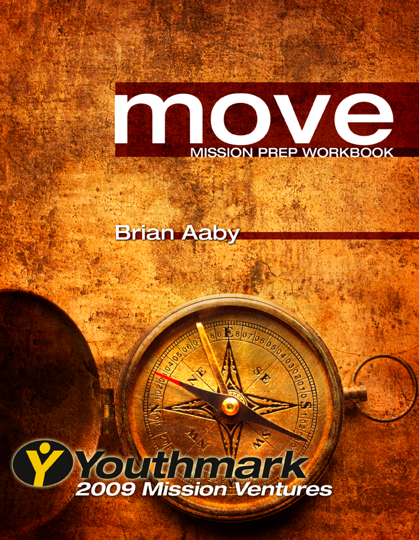 During the Brunch each of the Lead Team members were able to share about a section of move: Mission Prep Workbook that really excites them. I feel the group understands the nature of the training much better. We were also able to encourage the group to “maximize their effort.” We’d like to see as many students from each group equipped to serve on the mission trip so that their is as much unity and experience coming back to their campuses, clubs and families in their own Jerusalem. We commissioned each other in prayer and called it a very successful first run! I praise the Lord for the group gathered and the time we had together! May He increase the number of teams and the number of students as we ask the Lord of the Harvest field to provide the workers (Matt. 9)!